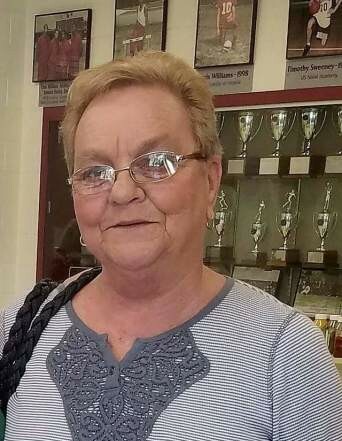 Esther “Kay” Graham, 70, native and lifelong resident of Poquoson, passed away Friday, November 30, 2018. Kay worked at multiple restaurants in Poquoson, retiring from her food service career as the Dietary Director at Dominion Village at Poquoson. Kay loved bingo, enjoyed cooking and taking care of people, most of all her beloved Mickey. Kay was preceded in death by her parents, Nelson Ervin and Mary Albert Firth; brother, Nelson “Bubba Joe” Firth; niece, Leslie Forrest; and brother-in-law, Mike Powell. She is survived by her loving husband of 54 years, Mickey F. Graham; daughter, Michele Evans (Joe “Weasel”); grandson, Charles “Brandon” Evans; great-granddaughter, Emily Kay Evans; brother, Dwaine “Tiny” Firth (Melanie); sister, Mary Sue Powell; sister-in-law, Alice Nell Firth; special uncle, Eddie Firman; and many nieces and nephews. The family will receive friends Monday, December 3, 6:00 – 7:30 PM and a Celebration of Kay’s life will be held Tuesday, December 4, 1:00 PM led by Rev Patricia Riggs, all at Claytor Rollins Funeral Home, Poquoson. At other times the family will be at Mary Sue’s home. Burial will be at a later date. Online condolences to claytorrollins.com. Memorial contributions may be made to Hospice House & Support Care of Williamsburg, 4445 Powhatan Parkway, Williamsburg, VA 23188.